America entered World War II in 1941. With that came rationing. Restrictions were placed on everything from rubber to butter. Tin was in short supply. For brewers, capping all those beer bottles suddenly became a problem. Their solution: bigger bottles. 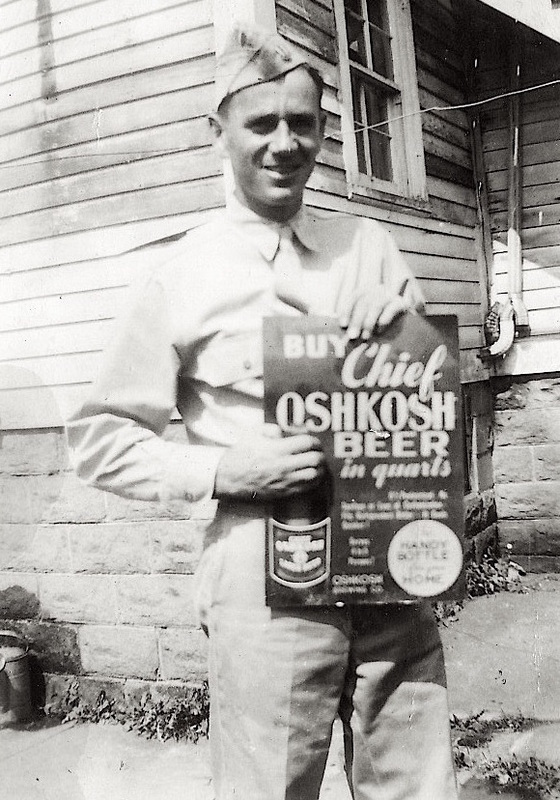 Big bottles of beer were nothing new in Oshkosh. Quart-sized bottles were used by some bottlers here from the late 1870s into the early 1900s. For example, here's a quart bottle from the 1880s. It's from Frank Lutz, an independent beer bottler. His bottling plant was on Oregon St. just across from St. Vincent Church. 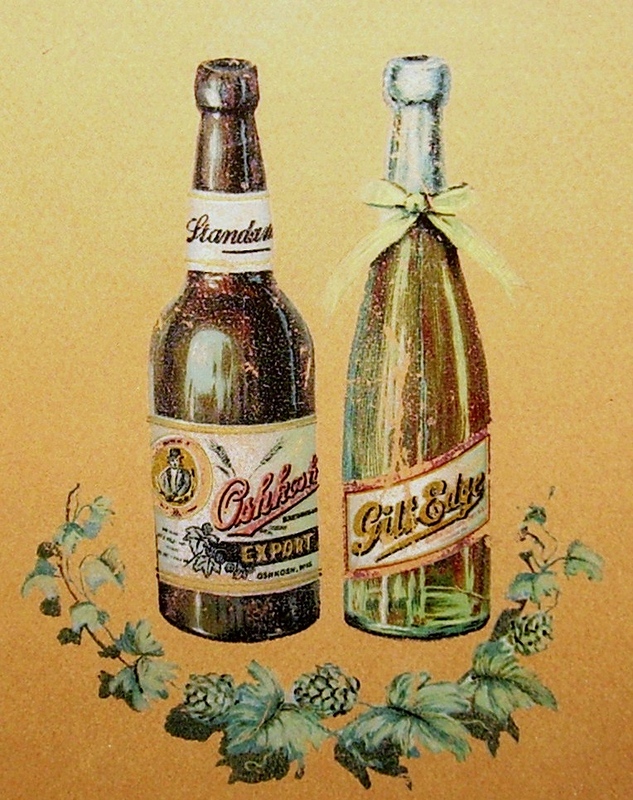 With the turn of the century came mechanized bottling and metal crown caps. Bottling beer became faster and easier. Especially when using smaller bottles. 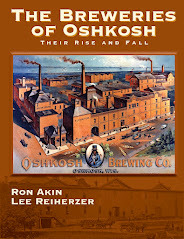 By 1910, brewers in Oshkosh had all but abandoned the quart bottle. In 1938, the Oshkosh Brewing Company brought the bigger bottles back. Here's the label seen on OBC's quart bottles. At first, the quart bottles were a novelty. They became a necessity when wartime rationing arrived in 1942. Bottle caps grew scarce. Quart bottles grew prevalent. Here’s one from Oshkosh’s Rahr Brewing Company. 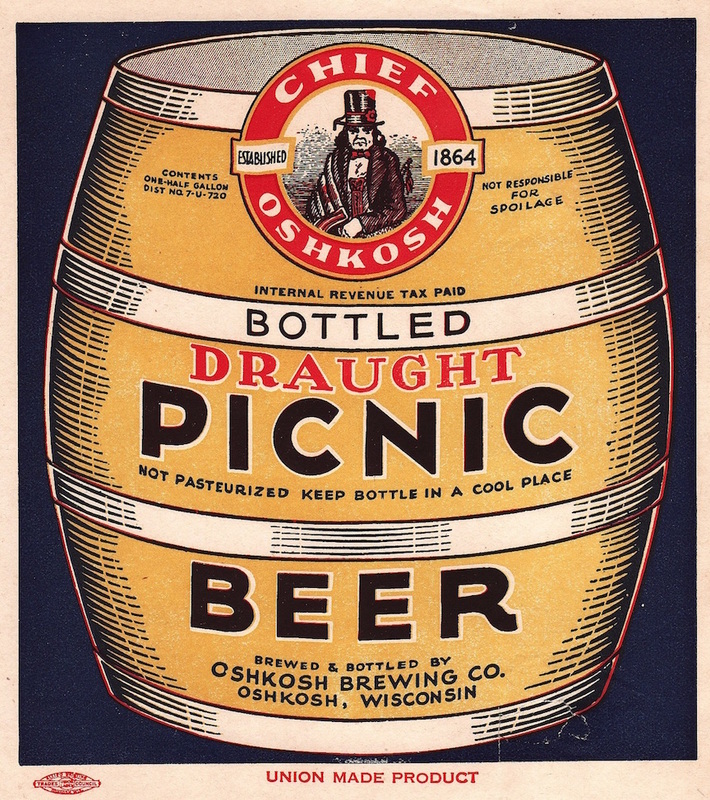 The ultimate in big beers was the picnic bottle. At more than a foot tall, the picnic bottle held a half gallon of beer. Better yet, it was unpasteurized draft beer. At OBC, they went full-on retro. 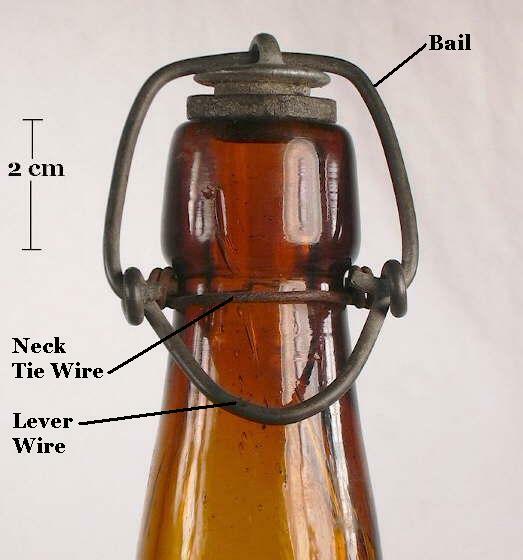 The brewery capped its picnic bottles with the old Lightning Style Stoppers first seen in the 1870s. Here's a better look at that label. Metal rationing ended in 1946. OBC ditched its picnic bottles. The half-gallon growler is our modern equivalent. Like the old picnics, they're filled with unpasteurized, draft beer. More importantly, we again have local breweries to fill them. Gilt Edge Beer marked a turning point for the Oshkosh Brewing Company. 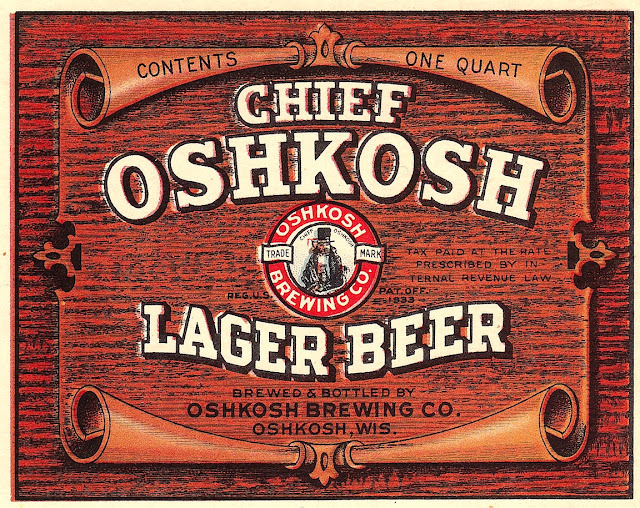 Introduced in 1900, the brand was designed to raise the profile of the brewery. Since its inception in 1894, OBC had made its reputation on German-style keg beers sold in saloons. Gilt Edge was a deviation. This was to be an overtly modern beer. An American beer. Gilt Edge was a light, pale lager. It was just over 4% ABV. It was sold only in bottles. The packaging was elegant. The bottles were clear. They were sealed with a porcelain stopper on a wire hinge. A yellow ribbon was tied at the neck of each bottle. The intention was to produce a beer that could stand on the same shelf as the pricier, nationally distributed brands. Beers like Pabst Blue Ribbon, Budweiser, and Miller's Buffet. Bottled beers sold in upscale restaurants and posh bars on Main St.
Gilt Edge became OBC’s most expensive beer. The target audience was young. American born. The affluent offspring of German and Bohemian immigrants. Gilt Edge drinkers in the early 1900s. By 1905, the marketing of Gilt Edge had taken an absurd turn. 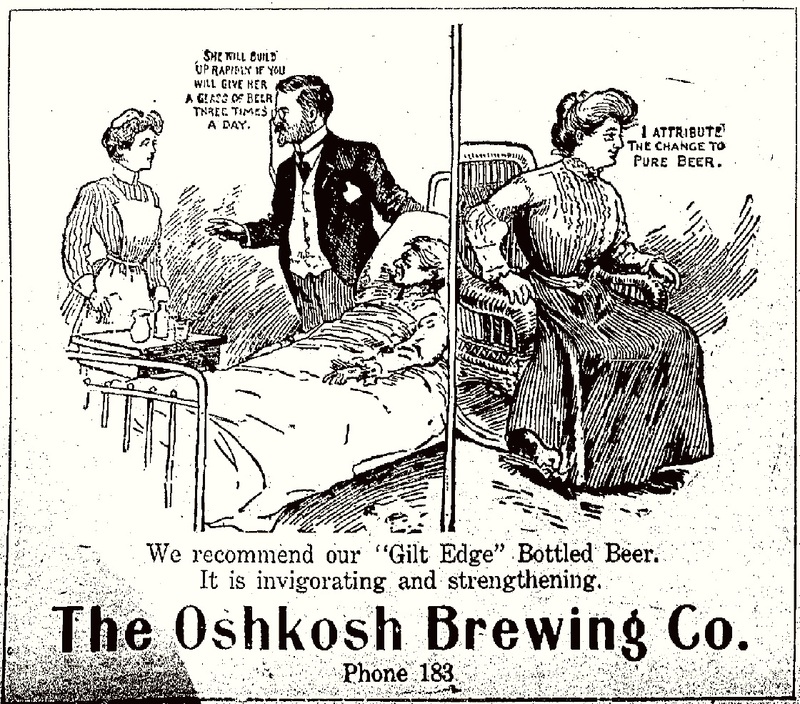 Like many breweries at that time, OBC often promoted its beer as if it were a health drink. With Gilt Edge, the brewery amplified that rhetoric. At times, the claims bordered on parody. OBC suggested that Gilt Edge was non-intoxicating. That it was a stimulant. A tonic. A special kind of medicine to revive invalids. 1907. "She will build up rapidly if you will give her a glass of beer three times a day." Nobody bought that. And fewer were buying Gilt Edge. The brand lasted until 1913. By then, the porcelain stoppers had been replaced with tin caps. Those yellow ribbons were long gone. 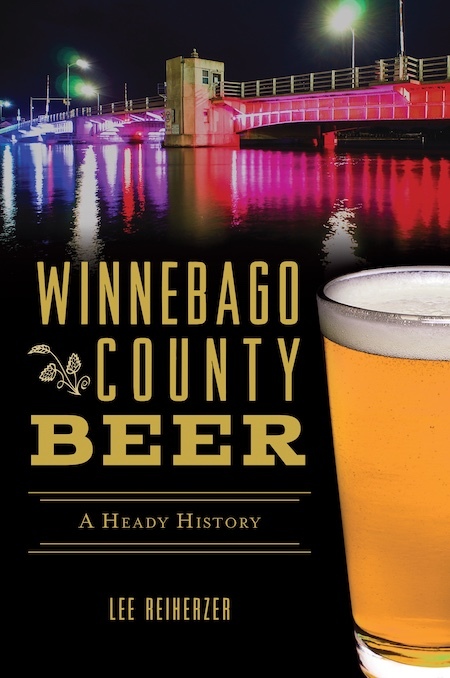 The dainty beer with the fancy name was jettisoned as the brewery winnowed its lineup. But at OBC, they never forgot. 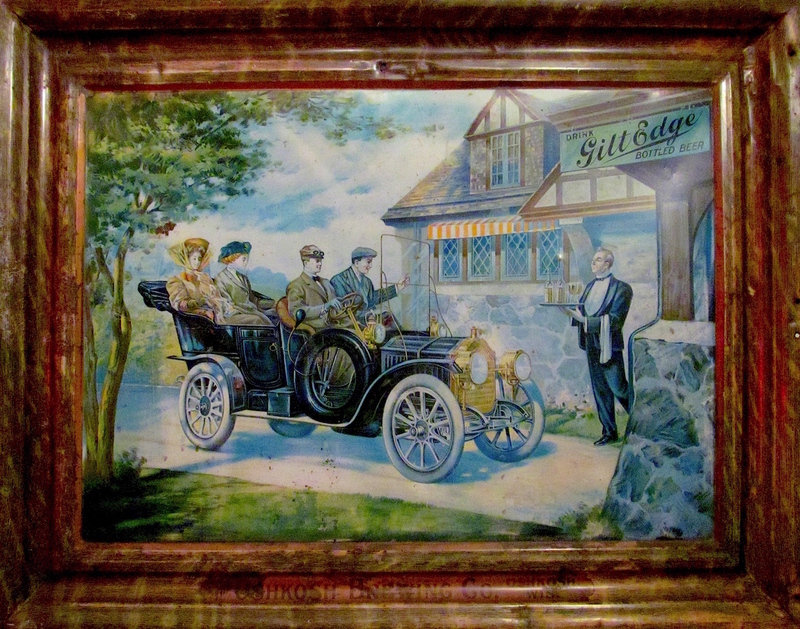 After Gilt Edge went out of production, the brewery established a real estate company to manage its saloon properties. The directors of OBC named their new company Gilt Edge. Looks like a typical Oshkosh home. It did in 1930, too. That was the point. Because in the basement was something else. A beer factory. The Safford family lived there in 1930. It was not the best of times for the Saffords. Vette Safford, the family patriarch, had passed away in 1926. He was 50 years old. He left a wife named Mabel and six children. Five of the kids were still living at home. The youngest was nine. After Vette’s death, the Saffords bounced around town. They lived on New York for a while. Then they moved over to Scott. Next they rented the house on Kentucky. It was between Bent and Murdock streets. 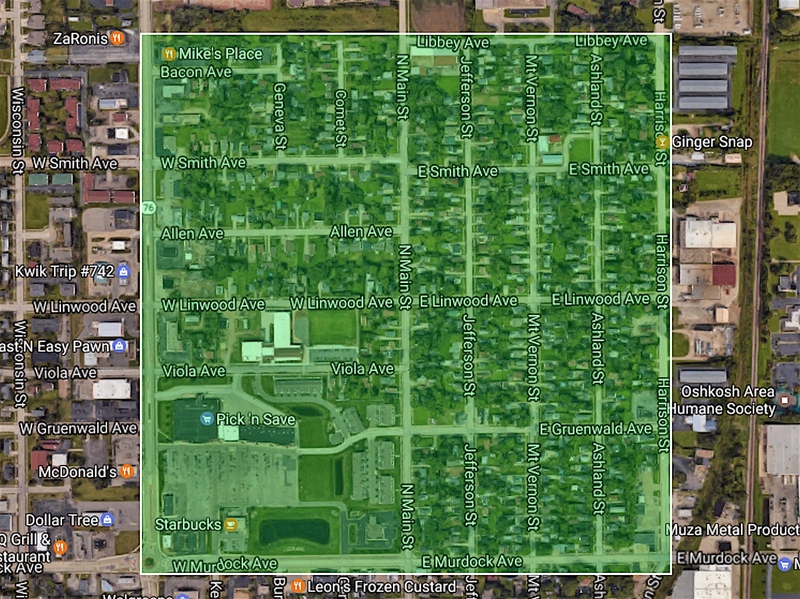 Most of the block was empty lots. Then and now on Kentucky Street. Location of the Safford’s home is marked by the red dots. There are 14 homes along that stretch today. There were just four when the Saffords lived there. 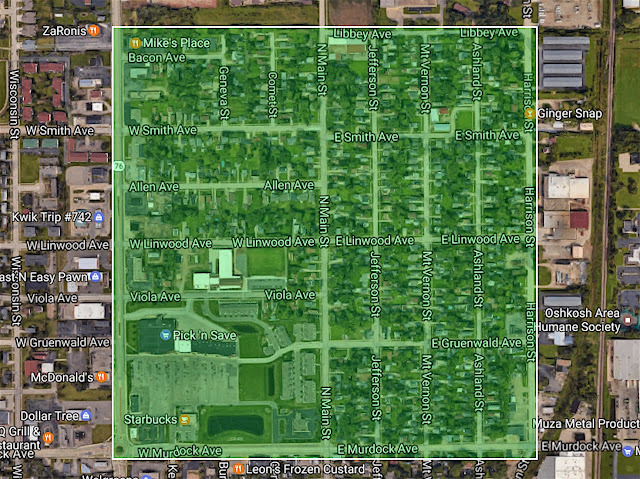 They were at the southern border of the Nordheim neighborhood. It was considered the toughest part of Oshkosh. Just the place for a bootlegger. Perhaps Neil Safford had already considered that. The Nordheim highlighted in green. At the start of 1930, Neil Safford was 29 and single. With Vette dead, he was supporting the family. Neil worked as an electrician. Apparently, that wasn’t cutting it. He turned his attention to bootlegging beer. Neil had no background in the beer business. Neil was not deterred. He converted the basement of the Kentucky Ave. home into a brewery. He ramped up quickly. He got shut down even quicker. Safford’s brewery was in operation for less than a year when the feds came barging in. The night of February 14, 1930, was blistering cold. The Daily Northwestern reported that Wisconsin was “plunged into sub-zero temperatures, whipped by biting winds… accompanied by whistling snow.” Good cover for cops. The Saffords never saw them coming. Federal Agents broke through the door just after dark. 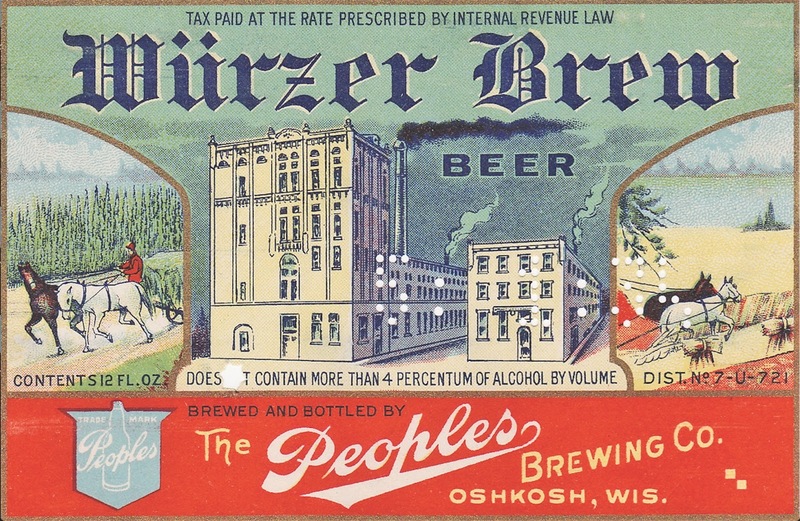 The Milwaukee Sentinel reported that the raid occurred as bottling operations were set to begin. There was plenty ready to bottle. Safford had 2,000 gallons of finished beer on hand. Enough for almost 900 cases of beer. That’s production at a level consistent with some craft breweries operating in this area. And Safford wasn’t just making beer. He also had four gallons of moonshine down there. The cops smashed the equipment. They drained the beer and booze onto the floor. They arrested Neil. He was taken to Milwaukee. Thrown in jail. The next day he ponied up $1,000 and was cut loose. He returned to Oshkosh. After that, young Neil went straight and narrow. Ten months after his illegal brewery had been smashed, Neil Safford was the married father of a baby boy. He moved from Oshkosh to Wausau in the late 1930s. He eventually ended up in California. He died there in 1990. Those are the facts. Now, let’s stroll into weeds. There’s a juicy, loose end to this story. The Daily Northwestern alleged that Neil Safford was supplying beer to a soft drink parlor in the Nordheim. 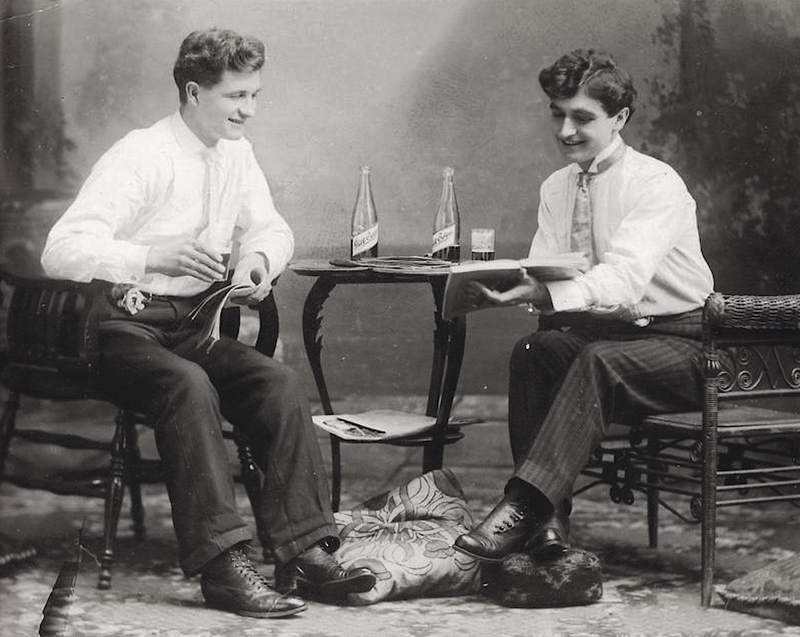 In Oshkosh, the term “soft drink parlor” was usually accompanied by a wink. The term was a euphemism for a speakeasy. The Daily Northwestern didn’t give the address of the soft drink parlor allegedly connected to Safford’s brewery. In 1930, however, there was just one such place licensed to operate in the Nordheim. 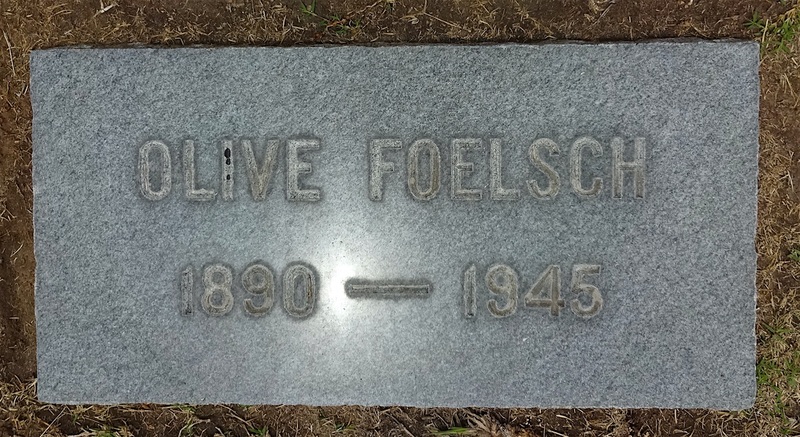 It was run by a woman named Olive Foelsch. Rudy and Olive dispatched the Foelsch Taxi Line in 1916. They moved up the food chain. They took over an old flophouse named the Blackstone. 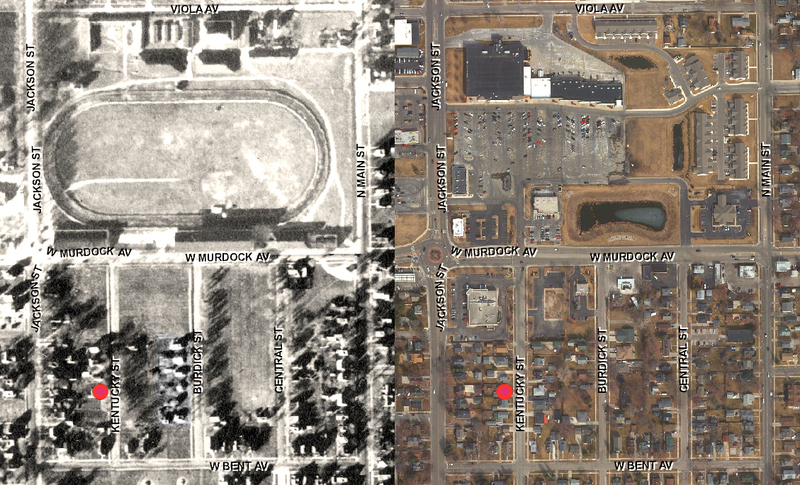 It was at what is now Pearl and Division streets. They renamed it the Foelsch Hotel and got a liquor license. All was swell until Prohibition arrived in 1920. With that, Rudy and Olive headed for the Nordheim. 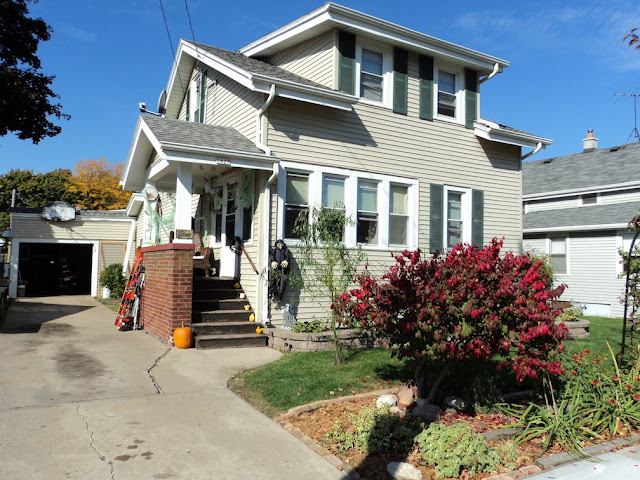 Their new digs were out on Harrison St. On the east edge of the Nordheim. Out there you could get away with almost anything. Rudy and Olive were going to put that to the test. They established a soft drink parlor (wink!). The building still stands. And it’s still home to a tavern. Today it’s named Ginger Snap. In 1926, Rudy Safford died at the ripe age of 55. Olive kept right on at it. When Prohibition ended in 1933 she went legal. At least on the booze side. Olive wasn’t just selling drinks, though. The Foelsch Tavern was well known for being a house of prostitution. Her reputation caught up with her on a Saturday night in July 1937. A raid headed by District Attorney Magnusen and Sheriff Paul Neubauer late Saturday night led to charges of keeping a disorderly roadhouse against Olive Foelsch, of Foelsch's tavern... Mrs. Foelsch waived preliminary examination, pleading guilty… It was her first offense, she stated. Judge Hughes fined her $200 and costs or six months. Two inmates of the establishment, Dorothy Smith and Jean Bois, waived preliminary hearings and entered pleas of guilty... They were fined $50 and costs or 60 days each. Both claimed it was their first offense. Olive left town about five years later. She moved to San Diego. Just like Rudy, she died at age 55. Oh, the stories this woman could have told. Sadly, we’ll never get to hear them.